Ruth Jefferson reports Waiting Patiently to be “absolutely bouncing” ahead of his intended return in the King George VI Chase at Kempton. 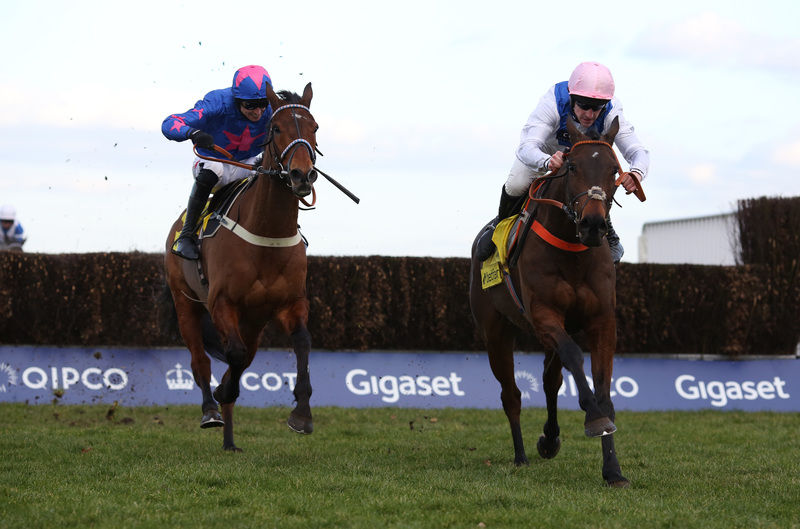 The seven-year-old has not been seen in competitive action since seeing off the popular Cue Card and claiming Grade One glory in February’s Ascot Chase, but he is closing in on a comeback. Jefferson said: “Everything is going according to plan – I couldn’t be happier with him, to be honest. Earlier this week Waiting Patiently received entries over two miles and three miles at Leopardstown’s Christmas Festival. She added: “Kempton is plan A and Ireland is plan B.
Brian Hughes has ridden Jefferson’s stable star to each of his six victories over fences to date. The leading northern-based rider became Donald McCain’s first-choice jockey in May, but Jefferson hopes he will be available to partner Waiting Patiently wherever he turns up. “As far as I know Brian wants to ride him and that would be the plan,” said the Norton-based trainer.